MEGHAN Markle is planning to meet with her dad to heal their bitter family rift on a secret solo trip to America, according to reports. 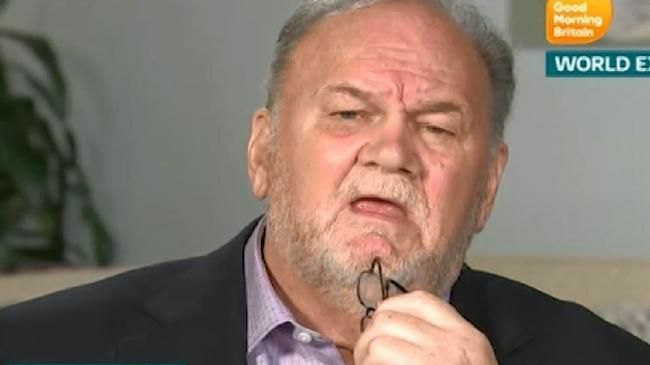 The Duchess of Sussex is said to be planning the visit home next month for an emotional reunion with 74-year-old Thomas Markle, who is said to be "delighted", The Sun reports. Meghan - who celebrated her 37th birthday over the weekend - was said to be "deeply embarrassed and hurt" that her dad recently referenced Diana. The Sunday Mirror reports that the former lighting director is "keeping two dates free at the end of the month" to meet his daughter. "The possibility of a reunion has been discussed and Meghan looks set to incorporate it into her trip," a source said. A former aide told The Sunday Times the couple are working to "get dad on board", adding it is simply "not a very elegant solution" to cut him off and ignore him. Palace aides have reportedly had three top-level crisis meetings about how to deal with her family, particularly her dad. Markle, who lives in Mexico, has previously said the royals were freezing him out of his daughter's life over his staged paparazzi pictures and controversial interview with Good Morning Britain. In that he hinted at Harry's alleged political views - saying the Prince thought Donald Trump should be "given a chance". He even suggested his health was in peril, and that he wanted to reconnect with his daughter before his death. The pair's fraught relationship has barely been out of the headlines since debate raged over whether Thomas Markle would make it to Meghan and Harry's wedding. He dramatically announced he would not be attending due to poor health and has since been vocal about this concerns with the Royal Family and his place in it.